I have read one of this year's Silicon Valley Reads books, The Butterfly Mosque, and was intrigued by the book and about the author, Willow Wilson. She is a young woman, about our children's age, who grew up in Boulder, Colorado in a non religious family. She searched for spiritual meaning in her life and became a Muslim. This book is the story of that time in her life, her move to Egypt and her eventual marriage to an Egyptian Muslim. The library has lots of copies and it is a pretty quick read. Willow Wilson is speaking at the Campbell library on Thursday, April 26th. I plan to go and realized that we have no meeting on the regular day, as some of us will be at Ruth's. Going to hear the author can be a "substitute" meeting event for April. If people want we can get something to eat in nearby downtown Campbell after the library program. I thought of a Middle Eastern restaurant but didn't find one nearby. If you want to know more about the reading program and events, go to www.siliconvalleyreads.org I have gone to see a couple of the films at the Evergreen Library and enjoyed them. Congrats to Kathy & Bud on their win in our annual 8-ball tournament. The sinking (or miss) of the 8-ball, as usual, determined the winner of many games. We tried to figure out how many years we've been playing and when we played our first game. Due to Shirley's great detective work, we've confirmed that our first game was played in 1984. Spring is my favorite season but since we only had two days of Winter, Spring seems to have been around for a while. The weather has been a good 20 degrees above normal all month. We have been close to 90 many days. The daffodils are gone. I was surprised to learn the deer don’t eat daffodils and tulips so I went and planted a bunch in a wine barrel for next year. We are having landscape plans drawn up and we will begin that process soon. Our main “gardening” is the clearing of our “outback” Walt bought a new gas chainsaw so he is happily putting it to use on the dead fall. Most of the deadfall is cedar so it smells great while he is sawing. The game room got new carpet because the selvage was darker and it made the seam in a patterned carpet too obvious. Once that was replaced the long awaited pool table could be delivered. I didn’t realize the installation would take four hours…precision, precision, and more precision. I was elated to sink the first ball and go on to win the first game. Walt’s Mom and Desmend were visiting to validate my claim but now Walt’s skill has settled in and I am doing good to get most of the balls off the table before I lose. Desmend and Grandma Wilson were here for a week during Spring Break. Walt’s sister’s kids were also close by in the National Homeschool Basketball Championships. Thousands of teams from across the country were in Springfield for ten days. Great for the economy and we enjoyed watching our nieces and nephews (four of the eight) play. Leah was amazing scoring mostly 3-point shots. Greg brought the girls up for the St. Patricks weekend and we enjoyed the traditional food fare including green beer (green sparkling cider for the girls). It was fun but I sure missed the Las Madres dinner. We joined the neighborhood card group and meet Tuesdays at 6:30. Guess the old folks need to get home before ten. We also went to another of the Branson shows. This one, called SIX is six brothers who sing and perform using only their mouths for the instruments. It was unbelievable how they could make guitar, piano, percussion etc come out of their mouths. Other good news is that Walt has responded to the Avastin shots in his eye for Advanced Macular Degeneration and the Retina Specialist is moving to weaning him. Walt will wait ten weeks and see if there is any change. I guess he is young in AMD criteria so the success rate is much better. Can you believe it has been one year on the 15th since we left San Jose? I am glad we will get to see some of you on the upcoming trip to San Diego. Before we arrive there, we will be in Tulsa for Easter and fly to Phoenix the next day. We will meet Randi and Dave in Sedona for two days while in the Phoenix area. We are looking forward to seeing Trevor’s new house and all the work he has put into it. 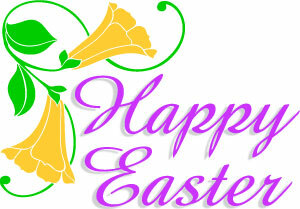 Wishing you all a Happy Easter. Happy Spring Happy Everything. We meet every Saturday morning at 9 am at Le Boulanger at San Felipe and Yerba Buena. There is a Starbucks across from it if you need something "special" to go with your bagel or pastry. The "away coffee" will be in San Diego this month! Most of the "regulars" will be down there so we will have coffee somewhere I am sure! Those that are not going (boo hoo) can meet at the usual Le Boulanger to gossip about those of us in San Diego! A: Heart only good for so many beats, and that it...Don't waste time on exercise. Everything wear out eventually. Speeding up heart will not make you live longer; it's like saying you extend life of car by driving faster. Want to live longer? Take nap. A: Oh no. Wine made from fruit. Brandy distilled wine, that mean they take water out of fruit so you get even more of goodness that way. Beer also made of grain. Bottoms up! A: Well, if you have body and you have fat, your ratio is one to one. If you have two bodies, your ratio is two to one. A: YOU ARE NOT LISTENING! Food fried in vegetable oil. How can getting more vegetable be bad? A: Oh no! When you exercise muscle, it get bigger. You should only be doing sit-ups if you want bigger stomach. A: You crazy?!? HEL-LO-O!! Cocoa bean! Another vegetable! It's best feel-good food around! Well...I hope this has cleared up any misconceptions you may have had about food and diets. Life should NOT be a journey to the grave with the intention of arriving safely in an attractive and well-preserved body, but rather to skid in sideways—Chardonnay in one hand—chocolate in the other—body thoroughly used up—totally worn out—and screaming, "WOO-HOO, what a ride!"